On Monday 4th June 2018, ahead of World Environment Day, 41 embassies and international organisations in Vietnam pledged to cut plastic pollution in the country. Vietnam is the fourth largest contributor to marine plastic pollution according to a study by the University of Georgia in 2015. Similarly, a 2015 report by the environmental campaigner Ocean Conservancy and the McKinsey Center for Business and Environment revealed that 5 Asian countries - China, Indonesia, the Philippines and Vietnam and Thailand - accounted for up to 60 percent of the plastic waste entering the oceans. 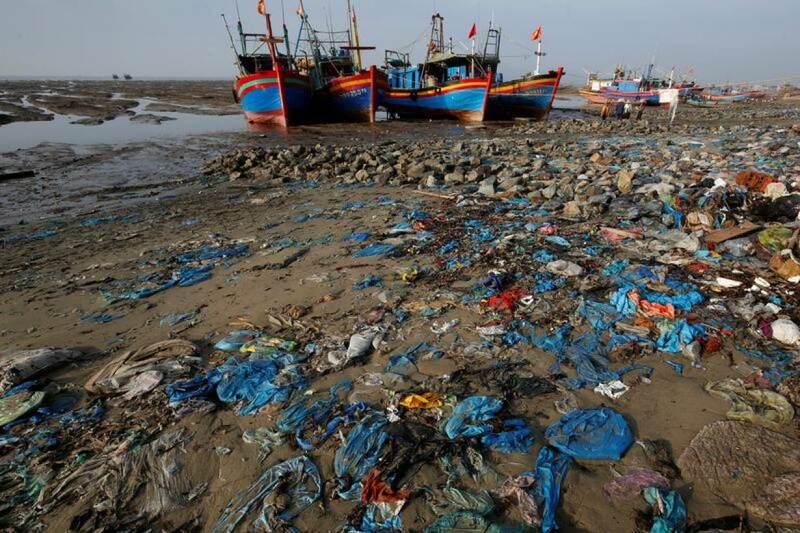 Local residents of Da Loc beach, south of Hanoi, have noted that the area has been experiencing high levels of plastic pollution for decades. Sellers in tourist areas have begun moving away from plastic bags instead offering reusable rattan bags or newspapers to wrap produce. Globally, 13 million tonnes of plastic leak into our oceans each year.